Our brief was to produce a modern professional business website for an emerging PLC within the mining sector. 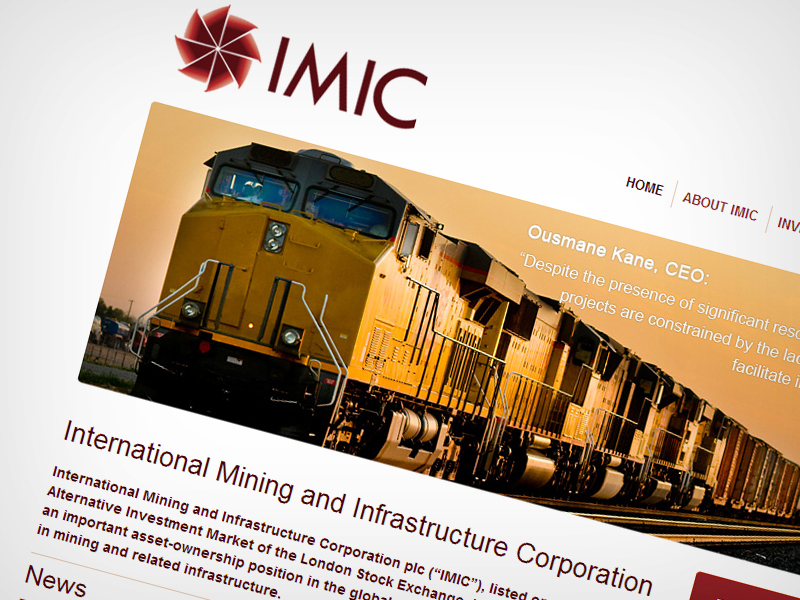 IMIC is an international mining and infrastructure corporation, who are focused on finding opportunities in the African iron ore space which are currently constrained by the lack of infrastructure solutions. 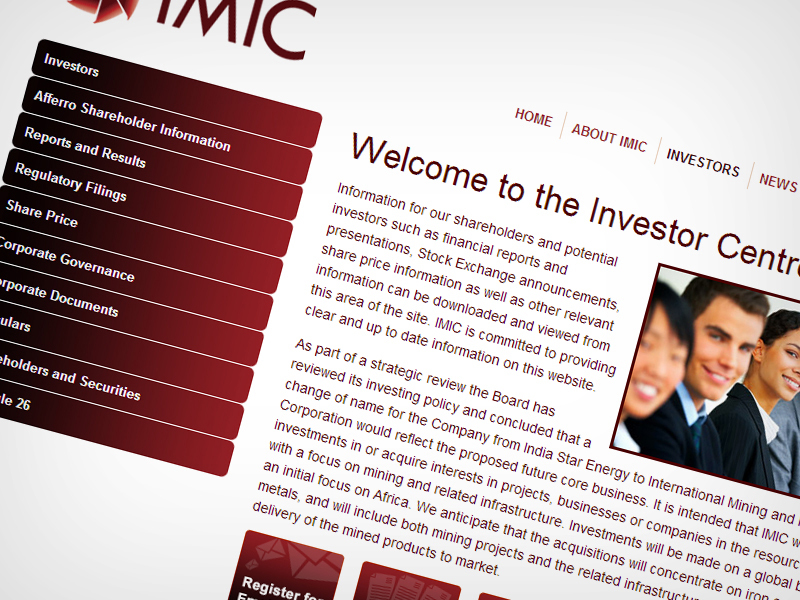 IMIC approached Restech to create an easy to use, informative, website for existing and potential investors to find out more about what IMIC do and to be kept up-to-date with ongoing changes and news. 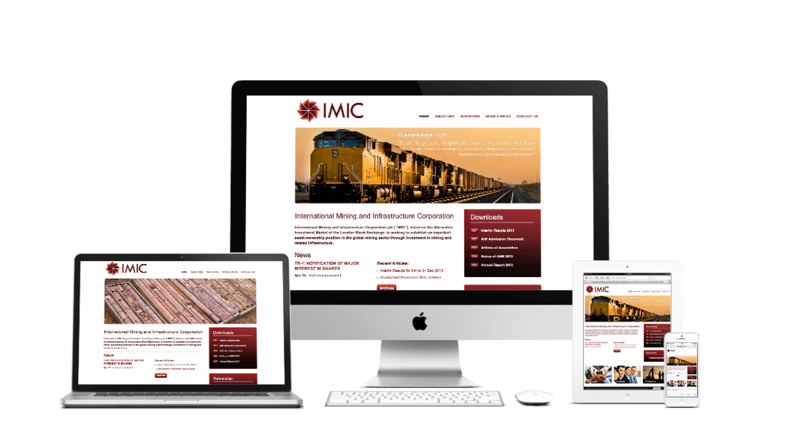 The site is built on Restech's Content Management System (CMS), which enables the client to make fast and affective updates to IMICPLC.com. 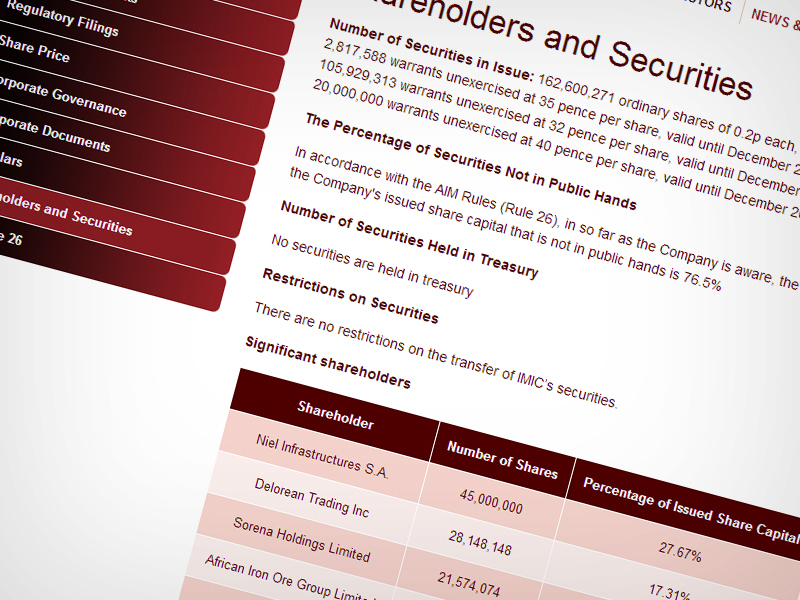 We also create and manage their e-newsletter directed at their employees and investors, to ensure they all kept up-to-date with the latest news and developments. We are pleased to recommend the website services provided by Resource Techniques whose team has always been extremely helpful and ensured quick, smooth and professional web support.